Sightseeing in Yokohama. What to eat? What to eat? 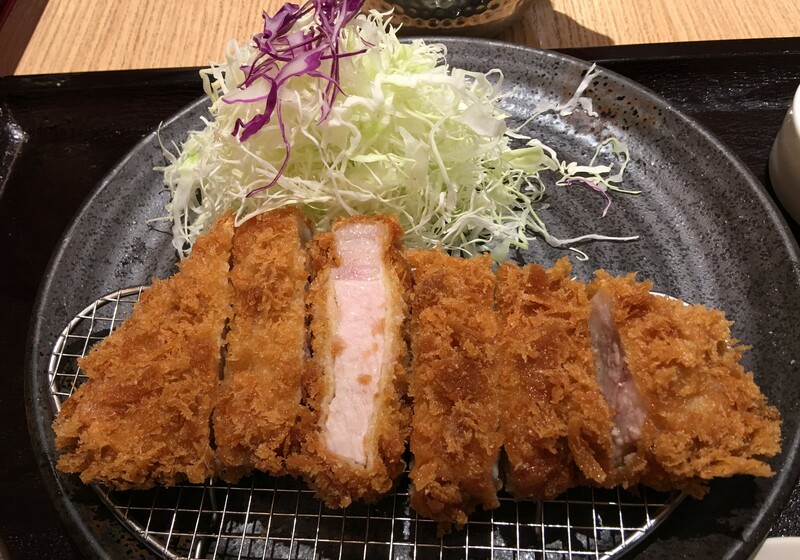 How about some Tonkatsu? You don’t have to ask twice! 和幸ジョイナス店 is located in the basement near Yokohama Station. We found it, looked decent and went in. Turns out that it’s a branch of Tonkatusu Wako from Tokyo. 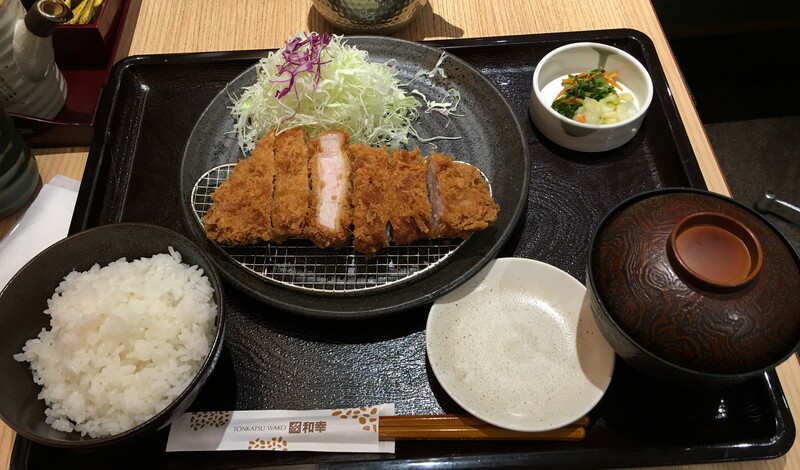 I don’t look at many other items when I go into a Tonkatsu shop except for the Rohsu and if there is a set meal or not. There is. So off we go! It’s the usual set. Rice, Miso, Pickles and the Tonkatsu. Nicely breaded and fried. A very good piece of pork. 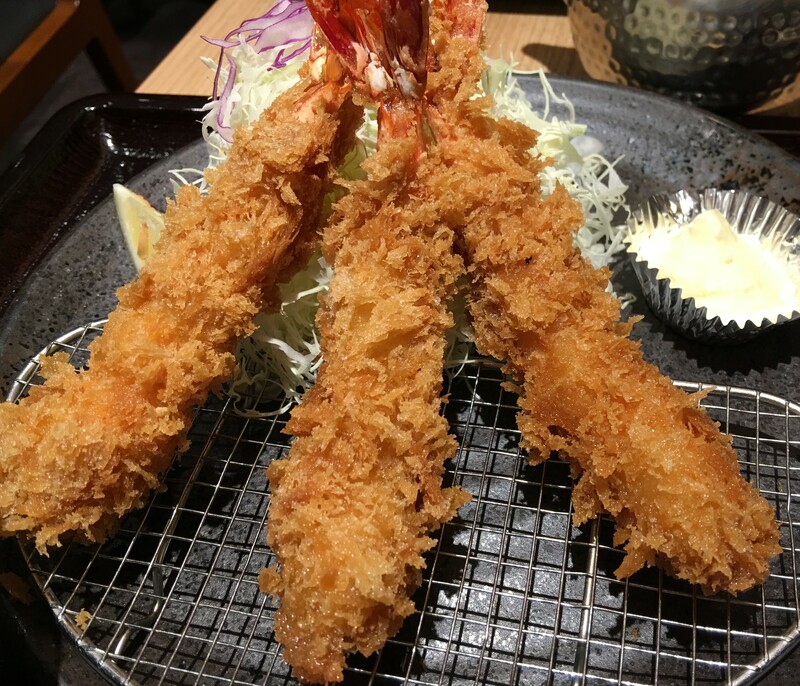 Yes, there is also Ebi! Lena likes the Ebi, and this one was fresh and crisp as well. It’s hard to distinguish yourself with all the Tonkatsu out there. But if it’s good, I’ll be back and this one, I’ll be back, either in Yokohama or Tokyo! Posted in Tonkatsu, YokohamaTagged Ebi, Japan, Tonkatsu, YokohamaBookmark the permalink.